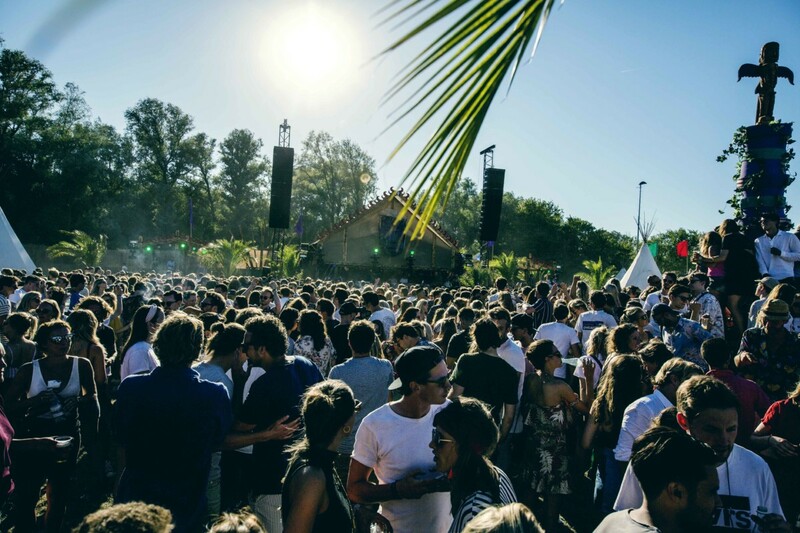 Spring is most definitely on its way in The Netherlands, and we’re all welcoming the first rays of sun like a it’s Woodstock. And that means barbecues, summer clothes, and embracing the sheer joy of a nap or a borrel in a park. Could life get better any than this, you’re asking? Uh, that’s why we invented ice cream, of course! Whether you’re more mainstream vanilla or open to spice things up, Amsterdam will serve it. 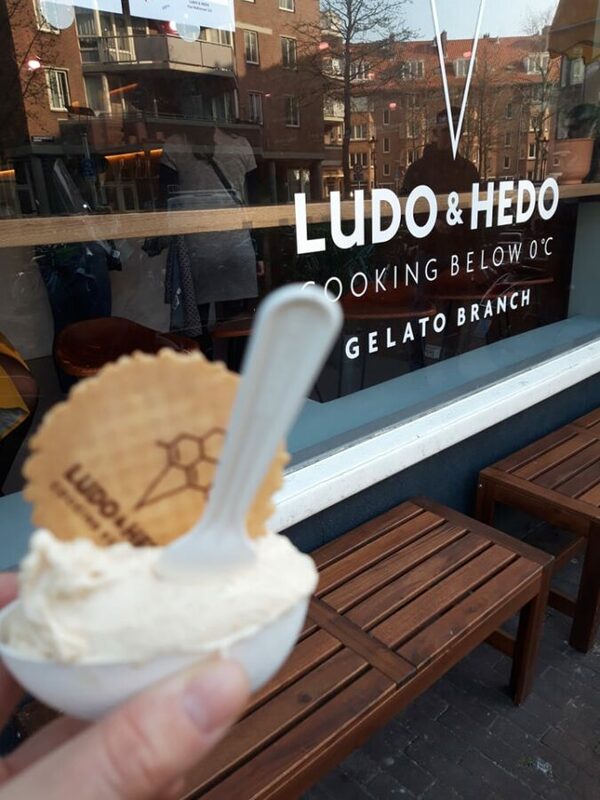 Last weekend, I went on a – not going to deny it, very pleasant- crash-test-mission to find out which places to get ice cream in Amsterdam, so you do(n’t) have to. Happiness is simple, cost on average less than 2€ and comes in the shape of a cone or a beker. We all scream for ice cream! This family business bonbonerie or “desserteria” is located on the Haarlemmerdijk and was founded in 1993. They prepare their ice creams according to traditional methods and with excellent cocoa (Valrhona and Barry). I had to go for a creamy dark cocoa scoop, it was intense, velvety and quite filling. Chocolate lovers, this is your ultimate pit stop to get ice cream in Amsterdam. Brave the tourist crowd and dive into the true bliss of a typical Sicilian gelato. Their pistachio is mesmerizing and reminded me on the one from Pozzetto in Paris. Texture was compact and lightweight at the same time. 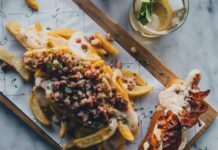 Flavour options are classics, which is nonetheless part of the charm. Tofani serves delicious coffee and has a nice terrace, a big plus in the city. In the heart of the Jordaan this ijsboefje nested back in 1957 and has become an institution since. 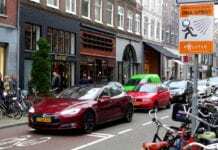 It’s a quaint little place with a vintage shop front, the atmosphere is kids friendly, the choices are creative and with a Dutchie touch (appeltaart, boerenjongen, stroopwafel), and the result is a smooth divine feel on the palate. Worth the wait in line, hands down. 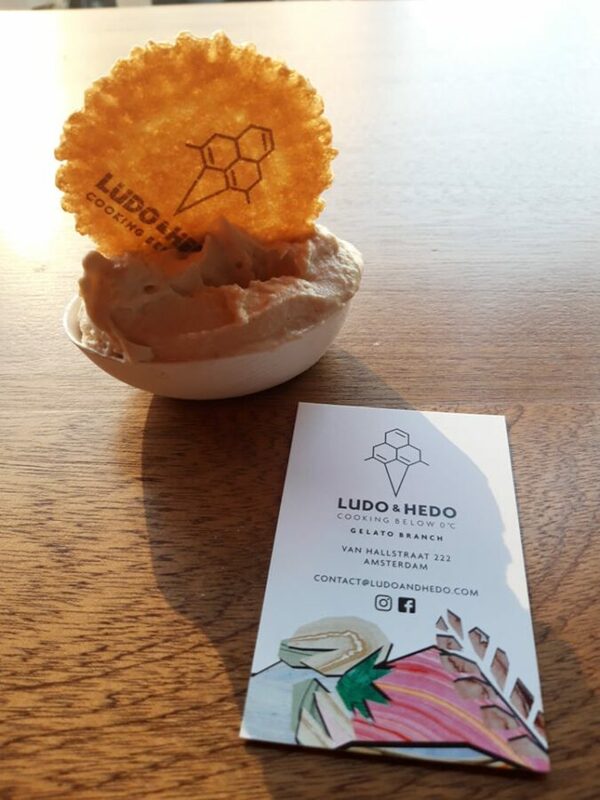 No wonder it has been awarded best ice-cream in the Netherlands in 2015 and won awards from “Taste of Italy”. If you’re in the area of Oosterpark, treat yourself to a detour through Beukenplein to get ice cream in Amsterdam. A few steps from Bar Bukowski, this klein maar fijn charming parlour opens only in the warm seasons and will exquisitely top off a hot afternoon. With about 20 aromas to choose from including full fruit sorbets (the blueberry was lush), indulging is made easy. I found out that they belong to the same team as Monte Pelmo: from East to West, partners in delightful! In a cute side street in West you shall find the wildest flavours in town! Every month, this “cooking below 0°” gem plays and displays a new menu with eccentric combinations (think pop corn, elderberry, buttermilk, oyster (yes…), grilled eggplant, avocado, whisky, miso, selderij, sesame, salmiak, crackers, blue cheese, tamarin, OK I better stop now…) with quirky names. They surely will shake the pilgrim soul in your taste buds, especially if you dare trying out the mystery flavour of the month, guessed it right and you get the scoop for free! Quantity-wise, it is a bit small but the quality is imperial; besides, the bekers are in recyclable material. Good to know: these experimental kings also own a restaurant in Oud West. 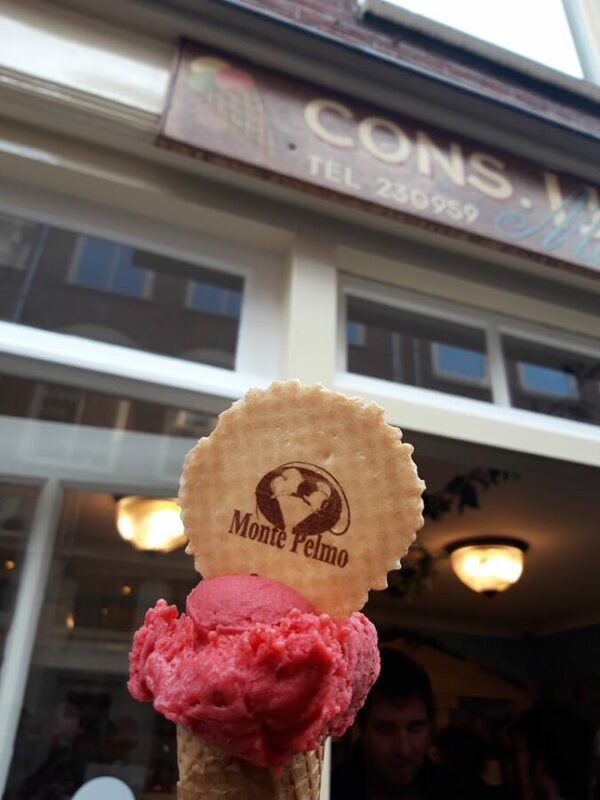 Let’s not forget the ubiquitous local queen Ijscuypje and its more than 19 locations in the Amsterdam area, and other mouthwatering establishments like Massimo Gelato in De Pijp (they serve grandiose creations such as mascarpone and citrus) or De Ijsmolen in Oost. Or if you want to combine your ice cream with a tour of coffeeshops as well, because of the munchies ( 😉 ) then look no further! We got the 12 best coffeeshops in Amsterdam in 2019. Tell us which ice-cream parlour has won your heart! 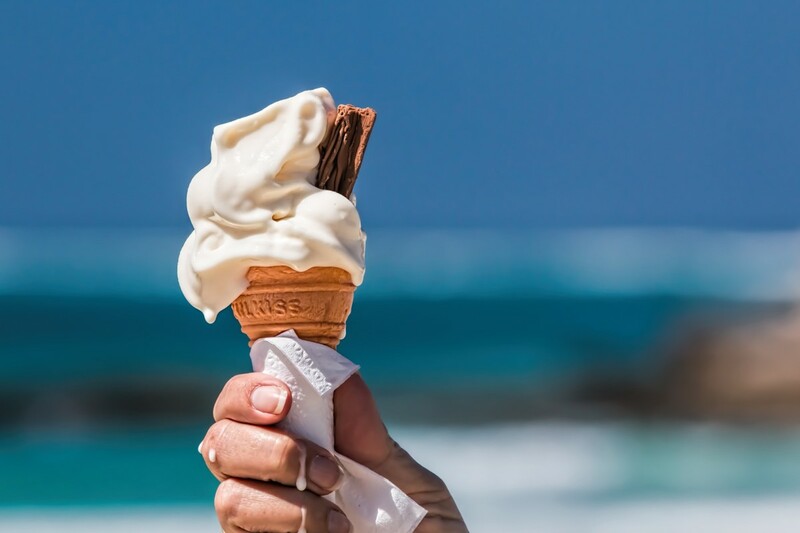 If you’ve had the chance to find other great salons to get ice cream in Amsterdam, we’d love to hear from you. After all, “sharing is caring” is most definitely an ice-cream-worthy kind of adage!